Trekking in Style is a new concept in trekking that allows visitors to stay in luxury accommodation without all of the hardships traditionally associated with trips to this spectacular region. Our Trekking in Style package also provides each couple with their own personal mountain guide who will be on hand for the duration of your stay to help with planning treks. You can walk as little or as much as you like! 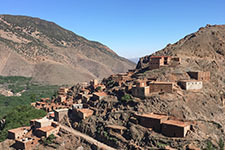 Guests will stay in luxury accommodation at Kasbah du Toubkal—in the trailhead village of Imlil—and also our Trekking Lodge in the remote Azzaden Valley. All the trekking is fully supported with a mule and muleteer to carry your luggage whenever needed. 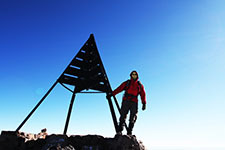 The Toubkal summit part of the trip will entail staying at the Neltner (3207 m) base camp in a mountain hut. For those that choose the more challenging route (for very experienced walkers), you will stay at the Lepiney Hut before crossing the Tizi n’Ougelzim pass (3650 m). The High Atlas Mountains dominate the skyline to the south of Marrakech and have always played an important role for the city. 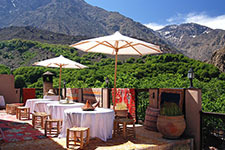 Whilst Marrakech is in itself is fascinating, a whole new experience awaits those who venture south into the mountains. With several peaks above 4000 metres, the Western High Atlas is part of a larger chain of mountains that spreads from the Atlantic Coast in the west to the Mediterranean in the east. The mountains are home to the indigenous Berber people who have inhabited Morocco for at least 5000 years. The Berbers live in small clusters of earthen adobe houses which cling precipitously to mountainsides and are often only accessible by mule or foot. A supported trek of 3‐4 hours’ duration* with guide, mule and muleteer to our remote trekking lodge in the Azzaden Valley – a beautiful setting barely touched by the modern way of life. A picnic lunch en route with dinner and comfortable accommodation at Azzaden Trekking Lodge is provided. You may wish to enjoy a relaxing hammam (steam bath) on arrival. The Toubkal summit part of the tour will start with a relatively easy day to the Lepiney hut (day 3). Day 4 is much more challenging as one crosses the Tizi n’Ougelzim pass (3650 m) before descending to the Neltner (3207 m) base camp. For less experienced walkers and for those wanting to keep the nights in mountain huts to just one, but still summit Jbel Toubkal, we recommend returning to Imlil (via a different route) and spending night 3 at Kasbah du Toubkal. 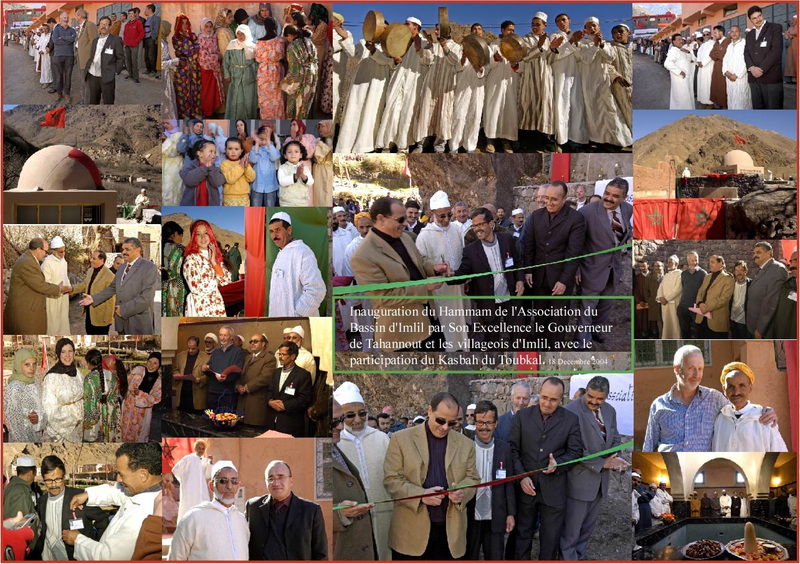 Day 4 will see you access the Neltner base camp by the direct route via Sidi Chamharouch. Day 5. An early start will see most people summit within 2‐3 hours before descending back to Neltner base camp and then then the return trek to Kasbah du Toubkal for a well‐earned hammam before dinner. PLEASE NOTE: Rooms at the Kasbah are based on our Standard Double Rooms, however, our Superior and Deluxe Rooms are available on request at extra cost. 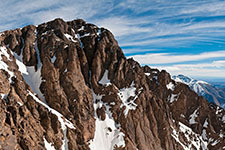 FUTHER NOTE: The Toubkal Ascent is available from April to October. Outside these times a winter Ascent may be possible subject to relevant experience and weather conditions.